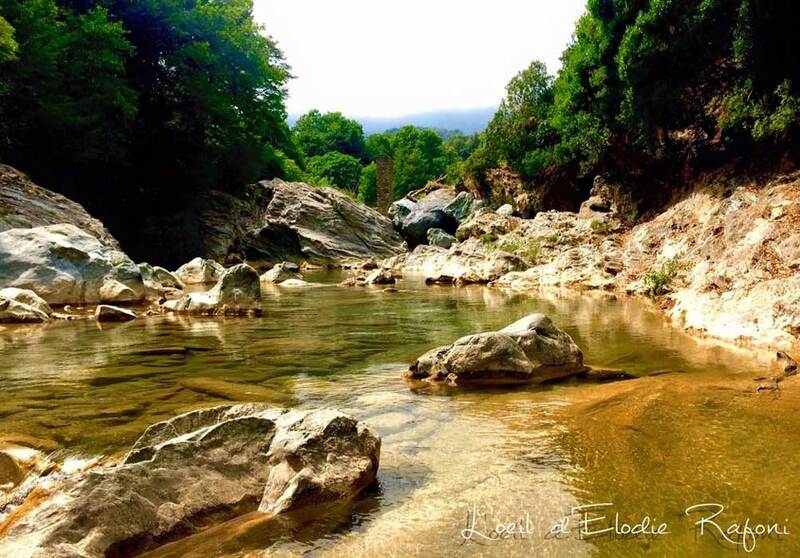 Corsica is a walker’s paradise. Its rugged, mountainous interior has proved unsuitable for roadbuilding but its network of ancient footpaths, snaking their way through dense pine forests, beautiful maquis scrubland and majestic valleys, makes it an ideal hiking destination. Corsica is often likened to a miniature continent, such is it’s the diversity of landscapes on offer. The wildness of the interior contrasts sharply with the stunning coastal scenery of pretty seaside towns and turquoise Mediterranean waters. This trip has been designed for those who wish to discover some of the best walks in Corsica with the comfort of staying in two 3* hotels. You will be based in two beautiful and contrasting Corsican towns; Corte, the historic capital of the island has many possibilities for walkers in the mountains whilst Calvi, with its chic port and beautiful coastline offers a completely different experience. *A high season supplement will apply during the months of July and August. *For safety reasons, this tour is not available to solo walkers. ACCOMMODATION 6 nights accommodation in 3* hotels is included. All offer a warm welcome to walkers and are centrally located in the towns. All rooms are en-suite. AVAILABILITY You can start your trip on any day of the week (subject to availability) from the beginning of April to the end of October. This trip is graded moderate overall, although there are some more challenging sections. It is suitable for people who are in good physical condition and used to walking 3-5 hours a day in the mountains. The walks are on good footpaths and trails although terrain is often rocky and there are many uphill and downhill sections. You also have the option not to walk on some days if you are looking for a slightly less strenuous trip. You will begin your holiday in Corte, the historical capital of Corsica, and settle into your hotel in the afternoon. Corte is a very scenic 2-hour train journey from Bastia. Distance: 12 km | Ascent: 450 m | Descent: 450 m | 4 hrs approx. After breakfast, you will make your way to the citadel of Corte and start a stunning day’s walk along the Tavignano Gorge. Then, you will reach a bridge over the Tavignano, where you will be able to swim in beautiful crystal-clear waters. Finally, you will return to Corte via the same route, with magnificent views down the valley. Distance: 4.5 km | Ascent: 600 m | Descent: 600 m | 4 hrs approx. After breakfast, a taxi will pick you up and take you to the shepherd’s hut of Grotelle, where you will start your walk. After an ascent, you will reach a small plateau that marks your arrival at a new shepherd’s hut, which in the summer season sells its own cheese. You will keep climbing from here until you reach the Melo lake and, then, the lake of Capitello. Finally, you will return back to the shepherd’s hut at Grotelle where Théo will let you try traditional Corsican cooked meats! You will have the choice to either take the train in the morning or take a little more time to enjoy Corte. The train trip is an experience in itself; passing through spectacular landscapes before reaching Calvi, a charming small town, with a lively atmosphere during summer. There, you will find an old citadel and a small port, lined with bars and restaurants. You can take a dip in the inviting Mediterranean waters or just stay in your hotel and sunbathe near the pool. Distance: 14 km | Ascent: 430 m | Descent: 430 m | 3½ hrs approx. After breakfast, you will begin your walk from the citadel and the Christopher Colombus monument. This famous explorer was allegedly born in Calvi. Your walk will lead you southwards along the coast and onto a peninsula. You will be able to enjoy a refreshing dip at the various secluded little beaches on the peninsula, before reaching a lighthouse the Revellata lighthouse. From here, you will return to Calvi along a high path on the top of the peninsula. Today, you will leave the coastline and follow a path amidst maquis scrubland, that will lead you into Corsica’s central region and the chapel of the Notre Dame de la Serra. From up there, the view back towards the gulf of Calvi, the citadel and the Revellata is superb. From here, you will have the option of returning directly to Calvi or continuing along the path that takes you further up into the mountains. Your arrangement comes to an end after breakfast this morning. From Calvi, you can take a direct train to Bastia for your departure flight. We would also be happy to arrange additional nights for you in Calvi or Bastia. Please let us know at the time of booking if you would like us to do this. / The most convenient airport to fly into is Bastia. From Bastia you can either take the airport shuttle bus to the Bastia train station, or you can take a taxi. It takes about 30 minutes, depending on the traffic. From Bastia train station, it is a very scenic 2-hour direct train journey to Corte. For timetable information you can visit either the Chemins de Fer de la Corse website or Corsica Bus, which also lists timetables for all public transportation in Corsica. / There is a dirct train from Calvi to Bastia, which takes approximately 3½ hours. Once you get to Bastia, you can either take the airport shuttle bus or a taxi to the airport.